Endowed scholarships with the Corvallis Public Schools Foundation help high school graduates launch their dreams of college. Students of Corvallis High School and Crescent Valley High School are invited to apply for these scholarships. Completed applications must be postmarked or delivered to the Corvallis Public Schools Foundation office by April 30. This $1,000 scholarship is for students going into Journalism, Communications, Public Relations, Advertising, or a related field. A graduate of Crescent Valley High School, Ms. Fang’s career entailed working overseas in Public Relations with people from all over the world, and with this scholarship she intends to support students considering similar fields. The STEM Scholarship is a $1,000 award for students pursuing degrees in Science, Technology, Engineering, Math, or a related field. Preference will be given to students from demographic groups that have been historically underrepresented in STEM. Established in honor and memory of Eric Gorski, a Crescent Valley High School graduate, class of 1998. His creativity and talents found expression in his drawing, cartooning, animation, screenwriting, film making, and editing. This $750 annual scholarship will be awarded to a graduating senior from Corvallis High School or Crescent Valley High school pursuing an education in Multimedia Design. 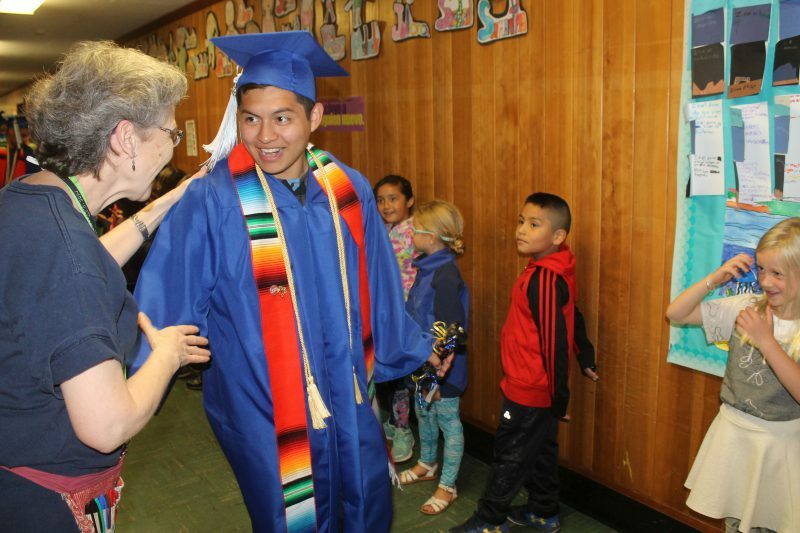 This fund was established by former 509J principal Lynn Lahey to support an annual $500 college scholarship for a bilingual student from Corvallis High School or Crescent Valley High School. Established in memory of OSU Veterinary Profession Olaf Hedstrom, this fund supports an annual $500 scholarship for a graduating senior enrolling in a university in Pre-Veterinary Medicine, General Science, Animal Science, Zoology, Horticulture, or Agriculture. This fund was established to provide a $500 annual college scholarship to a graduating senior who demonstrates leadership and academic achievement. Preference given to students who have participated on a Corvallis golf team. This fund was established by CHS Girls’ Golf coach David Zajicek to provide a $1,000 annual college scholarship for a Corvallis High School graduate who has participated in at least two years of CHS Girls’ or Boys’ Golf. Established in memory of Zach Peters, this fund supports an annual $1,000 scholarship for a Crescent Valley High School graduate with plans to attend college, university, or art school and major in some aspect of Performing Arts or Education. In some cases, awardees of the Zach Peters Performing Arts Scholarship may choose to re-apply for the scholarship annually throughout their undergraduate careers. Renewal is contingent on availability of funds and quality of students’ applications.